A man who was jailed for his role in a major cocaine supply plot across Berkshire saw an appeal against his sentence kicked out by judges. 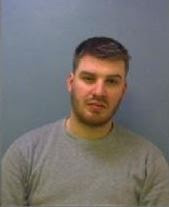 Luke Jonathan Collins, 24, of Courtlands, Maidenhead, was one of seven people jailed for their parts in a drugs gang which operated across the county last year. The organisation dealt in large quantities of high-grade, good quality cocaine, of which over eight kilos were seized by police. Collins admitted playing part in the conspiracy at Reading Crown Court last October and was jailed for eight years. Rejecting an appeal against the term on Friday, July 6, Mrs Justice Nicola Davies said Collins knew exactly what he was doing. He became involved in the gang through his friendship with childhood pal, Louis Bifolco, who was a major player in the dealing conspiracy, the court heard. Over months, the group trafficked "wholesale quantities" of drugs across the county dealing in Slough, Ascot, Maidenhead, Windsor and Reading, Berkshire. Collins withdrew from the gang in February last year and got a legitimate job as a chef, but became involved again on three occasions in July last year. His lawyers argued that, because he had pulled out of the conspiracy and only acted again three times on a pay-per-day basis, he deserved a shorter sentence. But Mrs Justice Davies, sitting with Judge Geoffrey Marson QC at London's Court of Appeal, said the fact he rejoined the enterprise at all made his case worse. "This was a conspiracy to supply good quality cocaine which lasted in the order of five months," she said. "The supply of cocaine was described by the sentencing judge as being wholesale commercial quantities. "The judge found that the amount of cocaine actually supplied was considerably more than the eight kilos actually seized. "Collins was involved in this conspiracy and he became involved by reason of his long-standing friendship with Bifolco. "His grounds of appeal would have been considerably stronger had he not become involved in July on three occasions when he was on bail. "We are unable to say that this sentence was manifestly excessive."